VISALIA – You can make the argument that an aerial fireworks show is a good way to burn through money at a rate of $1,000 per minute. But Paul Moore, executive director of Court Appointed Special Advocates (CASA), would argue that a fireworks show is the spark that ignites a sense of wonder in children and a sense of community pride in their parents. That was the scene that Moore observed when his organization held the city’s first July 4th fireworks show in two years last summer. Moore said one of CASA’s foster children won a pie eating contest that she’ll never forget. Another foster child sang the national anthem prior to the show, where Moore said he watched countless children and their parents, silhouetted from the light show above, comment on how it was the best Fourth of July ever. “When I watched that girl sing the national anthem, the families watching the fireworks and the kids having a good time, that is more than just spending money on fireworks,” Moore said. Moore made his comments to the Visalia City Council on Jan. 16 when he asked that the city consider granting his organization another $20,000, to continue a new community tradition that was started last year, instead of the $10,000 outlined in the proposal for this year. CASA’s first crack at Fourth of July festivities was a community event that began at 11:30 a.m. at the Groppetti Stadium with food vendors, games and information booths entertaining people. The vendors stayed open until the conclusion of the event at 10 p.m. that night following the 20-minute fireworks show. The all-day event cost CASA a little less than $28,000, but thanks to $20,000 in cash from the City, the organization was able to turn a profit of just over $8,000. That estimate did not include a $5,000 donation of in-kind services provided by the City for police patrols, fire inspections and on-site public safety. Assistant City Manager Leslie Caviglia said in-kind services actually came in at just $4,300 including $2,000 in staff time for the fire department, $1,800 for the police department and $500 for parks and recreation. The event was not only bolstered by city funding but also more than $9,000 in contributions from sponsors such as Party City, We Are Sikhs, Sunset Rotary, Hyde Properties First 5 Tulare County, Family HealthCare Network and Franey’s. Moore said CASA would consider providing a fireworks only event for the proposed $15,000 but would lose out on $20,000 in donations already committed by sponsors who wanted a day-long event for extended exposure, such as We Are Sikhs and Party City. Councilmember Phil Cox motioned to approve CASA’s request for the full $20,000 plus $5,000 of in-kind services for police and fire in order to offer the same level of funding that has been provided since 2004. The motion was not seconded and died. Councilmember Steve Nelson said he was not in favor of providing any money to reignite a fireworks show that hardly anyone missed for two years and certainly wasn’t in favor of providing more money that was part of the original proposal. Nelson said the original proposal stated that last year’s $20,000 included a “one-time” $10,000 incentive to help fire the event back up and due to the short time frame leading up to the event. 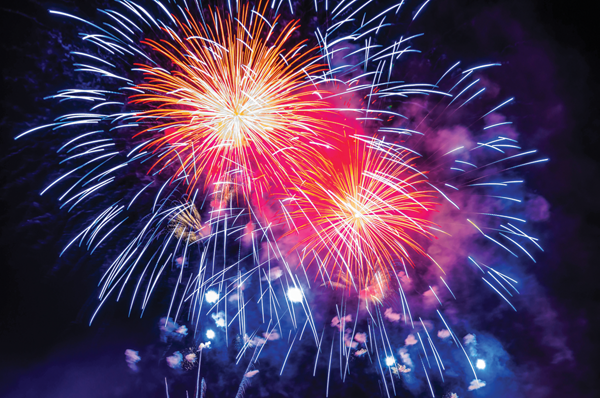 Mayor Warran Gubler argued that the City’s contribution was covered by more than $50,000 in fines for illegal fireworks levied during the nights leading up to Independence Day. Staff corrected that not all of that money has been collected and some of it was used to pay overtime for firefighters to patrol the city and write citations. Gubler said either way, the money is creating a positive community event that offers an alternative to dangerous illegal fireworks. “The fact we took that money and allocated it to [CASA] for the Fourth of July is a good use of those funds,” Gubler said. Councilmember Cox amended his motion to fund $17,500, more than the $15,000 listed in the original proposal but less than the $20,000 being requested, plus the $5,000 of in-kind services. The motion passed 4-1 with Nelson casting the dissenting vote. Moore did agree with Nelson’s notion of tracking the zip code of those in attendance. While Nelson wanted the zip codes to make a point that the City should not be spending tax payer money on entertainment for people from other cities, Moore said the information could be useful in determining where donations to CASA come from.